The first step to restoring your deck is to clean it, so it can absorb a new finish. Traditional cleaners such as Clorox and TSP aren’t at the top of the list for environmentally friendly products. This is for good reason. Sodium hypochlorite produces dioxin and TSP releases phosphates into our rivers and streams. You may be wondering what you can use to get your deck clean if you can’t use these common cleaners or one of the commercial deck brighteners. You may be surprised at how easy it is to clean your deck with environmentally friendly ingredients. Some of these cleaners are probably already in your kitchen. White vinegar has degreasing power as well as anti-mold and mildew properties. Use a mixture of 1 part water and 1 part vinegar and spray onto your deck with a hand sprayer or pump sprayer. If you don’t already have one, you’ll find one in the home and garden section of your local hardware store. This formula also works with the addition of a teaspoon of mild (not ultra) liquid dish soap to two gallons of the vinegar/water solution. Combine 1 gallon water with 1 cup baking soda. Stir until the baking soda is dissolved. Brush onto the deck with a scrub brush or brush broom. Rinse clean with water. Oxyclean® has a new purpose—deck cleaner. Dissolve 1 cup Oxyclean® in 1 gallon water. Apply to the deck and scrub. Oxygen bleach goes to work on rust and other stains, yet doesn’t bleach the wood. Hydrogen peroxide also works very well as a natural cleaner. It will bubble up, showing that it is eating away the dirt and grime. A pressure washer can complement the natural cleaning solutions you use. This is a good way to remove peeling finishes before sanding, unless you suspect that your deck has been painted with lead-based paint. Higher pressures and smaller nozzles create the best result, though it is vital that you use proper pressure washing technique as you work. Use 1800-2000 psi and a 25 or 15 degree nozzle. Hold the wand close to the surface- just eight to ten inches away. Move the wand slowly and steadily. Unfortunately, the same conditions that contribute to a perfectly smooth surface also increase the chance of damaging your deck, especially if the wood is old or soft, or if you’re inexperienced with a pressure washer. Tip: If you’re hesitant, use lower pressure and/or a wider nozzle for now. If you have any stains left after you have used these natural methods, sand the wood lightly. 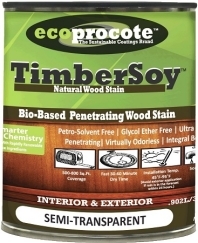 In many cases this will remove the last traces of staining or uneven color that remains. Do you know of a cleaner used in a Hand spray that contains distilled water, peroxide, and baking soda? Do you think I can use it on my one year old white (painted) fence, because I Am noticing mildew and other dirt, and don’t want it to build up. I’ve heard of this but never tried it myself. I don’t think it would damage the paint much. An alternative is to use a prepared house wash, like Simple Green, then spray a diluted bleach solution to finish up. This is good for getting ready to paint. Cleaning without chemicals is something that is beneficial for our health and well-being as well as contributing to the creation of a healthier environment for future generations. There are many cleaning products on the market that claim to be eco-friendly but unfortunately this term is used rather loosely by the manufacturers of household cleaners.